Microsoft is working on bringing its Windows Phone keyboard to iOS, and part of that process involves internally testing the software before it’s released to the public. Thanks to images and information obtained by The Verge, we’re getting a good look at what this keyboard looks like during the testing phase. The most interesting aspect to Microsoft’s iOS keyboard is the unique one-handed mode, which fans out the keys in a way that makes every one of them easy to reach with a single thumb. This design certainly looks unorthodox, but it appears to be more suited to one-handed use that Windows 10 Mobile’s one-handed keyboard, which simply shrinks to one side. Word Flow for iOS, as the keyboard is currently known, also brings Windows Phone’s excellent prediction technology to iOS. Predictions aren’t a strong point of the stock iOS keyboard, so Microsoft’s technology here could make their keyboard a better option for iPhone users. 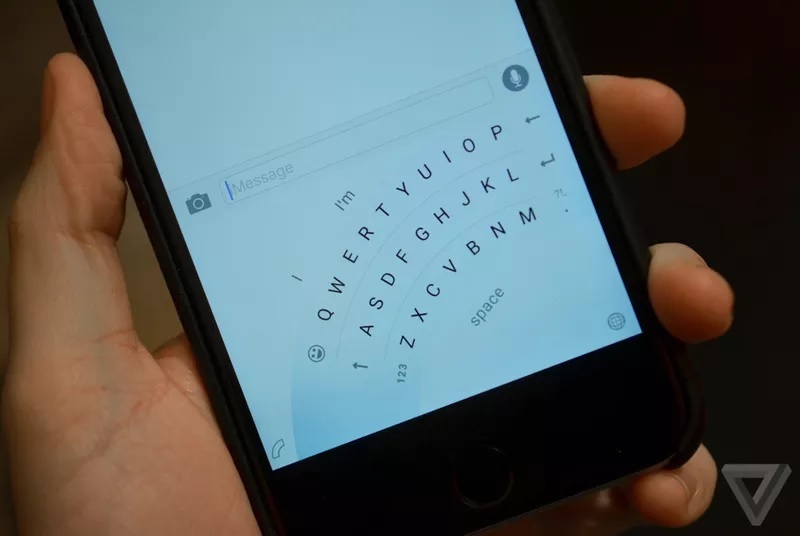 Other typical smartphone keyboard features are also included in Word Flow, such as swipe input, and a full emoji keyboard. The one-handed mode is unique to this keyboard, but every other aspect should be very familiar to Windows Phone users. It looks like it will still be several months until Microsoft releases this keyboard to the public, with an Android version also expected to launch later this year.